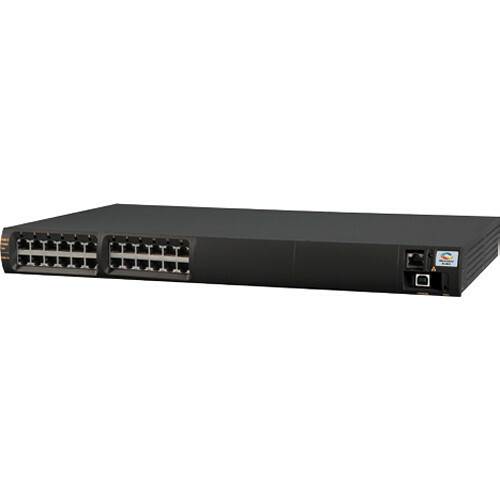 The Microsemi PD-9600G 6-Port 95W Gigabit PoH/PoE Midspan is designed to power network devices such as IP cameras, access control systems, thin clients, and other Ethernet powered devices that require up to 72W. It can also be used operate high-power-over-Ethernet infrastructure such as digital signage and monitors. This midspan is PoH compliant (Power Over HDBaseT) and can deliver power over all 4 pairs of the CAT 5E or better cable. It is also backwards compatible to 802.3af and 802.3at, including 4-pairs 802.3at.